Congratulations! 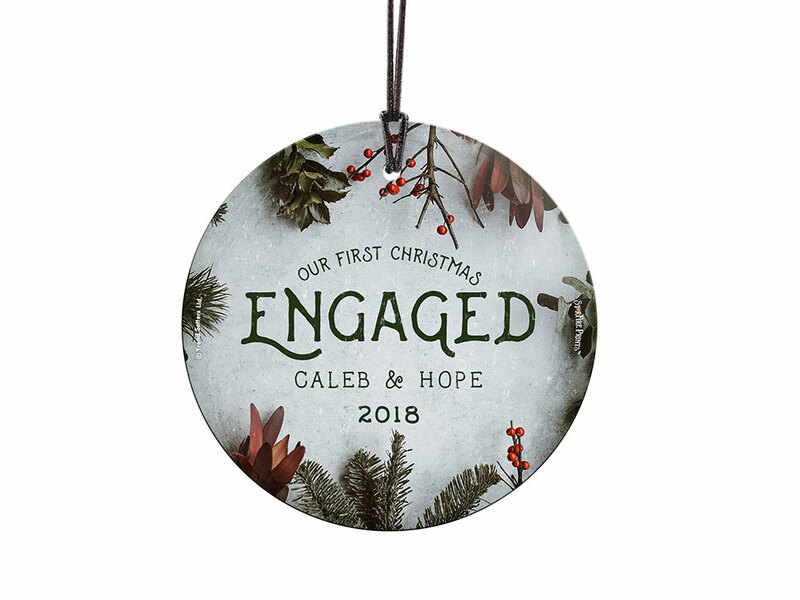 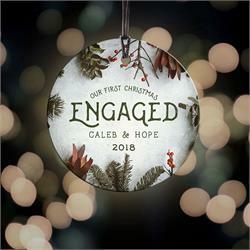 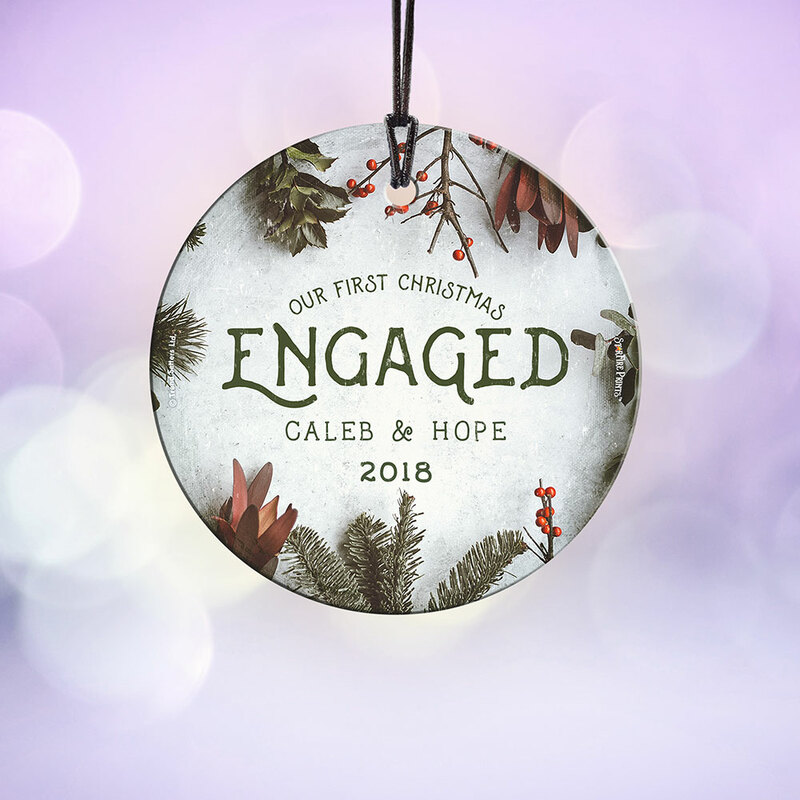 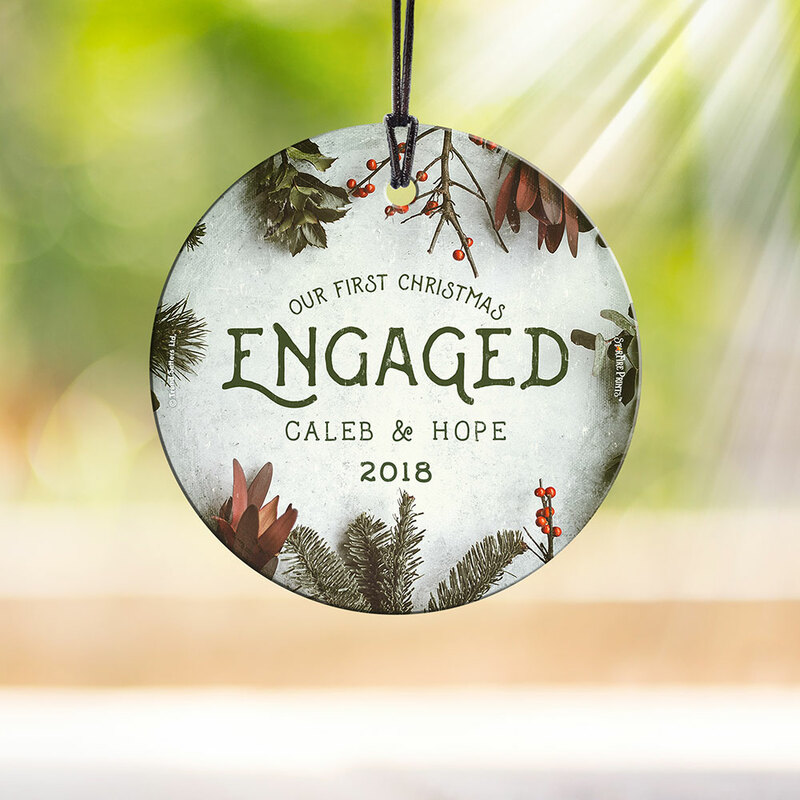 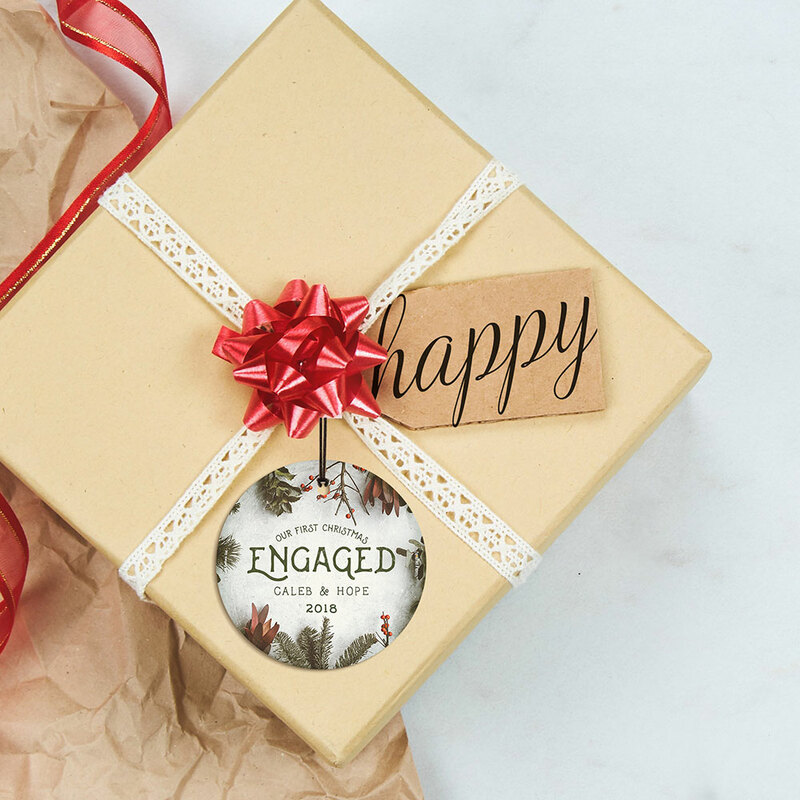 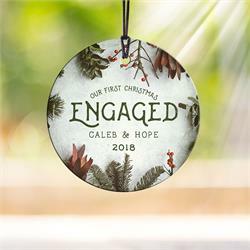 You’re celebrating your first Christmas engaged! 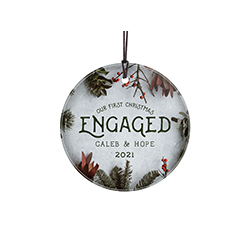 This frosty image with winter greens and cranberries, featuring your names and year, is fused directly and permanently into glass for a light-catching, long-lasting keepsake. Comes with hanging string for easy display.